250 pages | 5 B/W Illus. The emerging field of body ecology offers fresh insights into how the body engages with its surrounding environment through consciousness, perception, knowledge and emotion. In this groundbreaking collection, leading scholars of sport, leisure and philosophy draw on research on topics as diverse as surfing, freediving, slacklining, parkour, bodybuilding, dance and circus arts to flesh out the concept of body ecology and its potential for helping us understand our connection with the world around us. Touching on theories of subjectivity, embodiment, pleasure and play, this book explores different approaches to studying body ecology as a way of conceptualising the experience of being immersed in nature, in the elements and in one’s own body through the power of awareness. An experience becomes emersive when it involves the production of new emotions in the body: emersion is the activation of what is living within the body itself. 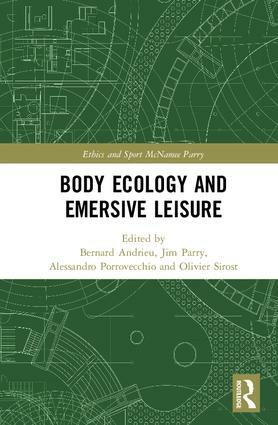 Shedding new light on the possibilities of physical cultural studies, Body Ecology and Emersive Leisure is fascinating reading for all students and scholars with an interest in sport, leisure, philosophy and the body. 13. Body Ecology and Academic Well-Being: What Sustainable Health Can Be Offered to Adolescents through the Practice of Body Art Activities?